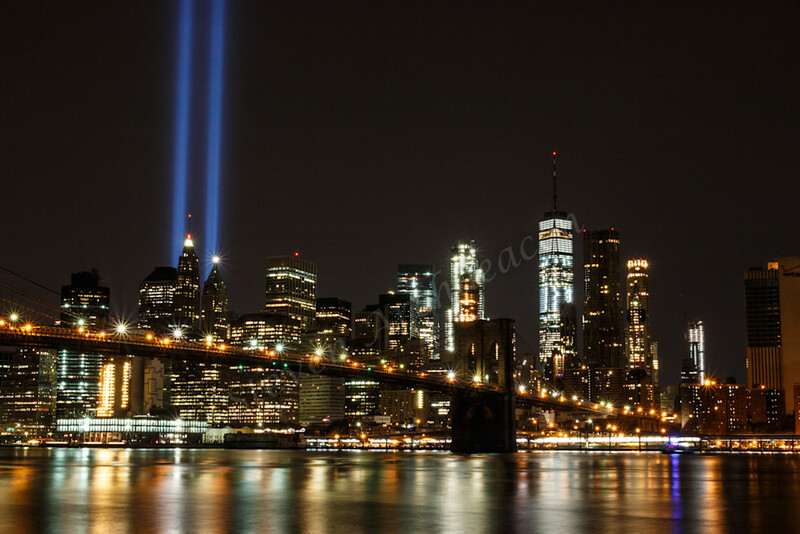 9/11 Tribute Lights & World Trade Center with Brooklyn Bridge by Steven Archdeacon. 9/11 Tribute Lights from DUMBO (Down Under Manhattan Bridge) #2. This picture is slightly different from the previous pic as it is zoomed in a little more and it shows the Freedom Tower and Tribute Lights a little more prominent in the skyline.